Expectations: Very high. I’ve seen pieces of this many times. The film begins with an older, visibly shaken man telling a younger man about how the spirits all around have driven him out of his home. A wide-eyed women dressed in a flowing white gown emerges in the background and slowly walks up to and past the men without stopping or looking their way. My first thought was that this was a ghost, a representation of what the older man was talking about. But then the younger man says, “That is my fiancee. What she and I have lived through is stranger still than what you have lived through…” So this girl with the blank stare isn’t a ghost, huh? Oh… well, I guess we’re in for a wild story then! And it’s a story that doesn’t disappoint. That’s not to say everyone will naturally gravitate towards this one, but if you’re at all interested in the foundation of the horror genre or classic film in general, this is a must see. 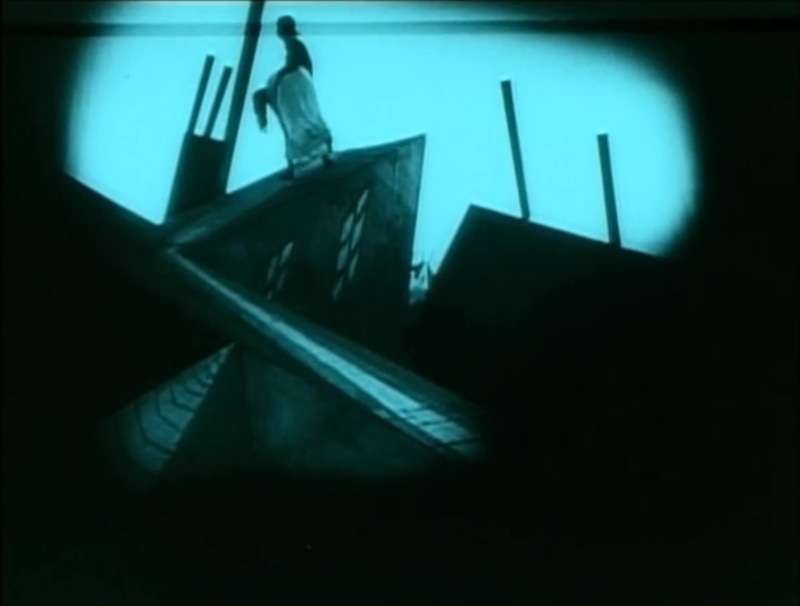 As one of the premiere examples of the German Expressionist film movement, The Cabinet of Dr. Caligari holds many wonderful delights, most notably in its set design. Instead of looking normal, everything is skewed and distorted. I don’t know what the traditional interpretation of this is, but my take on it is that because our main character is telling us his story — one of unforgettable peril and terror — his memories of it aren’t exactly perfect. Or maybe we’re seeing the story by venturing inside his head and living inside his fractured memories. Or, better yet, perhaps we’re seeing the story through the imagination of the older man who’s hearing it, creating the visuals in his head from the twisted details given to him by our main character. Whatever it is or was supposed to be, the sets create a fantasy landscape that continues to inspire and influence filmmakers today. In a film as thick with atmosphere as The Cabinet of Dr. Caligari, you could single out nearly any scene and find a good one. The moments that especially stood out to me both involve Dr. Caligari himself. Some murders have happened around town and Dr. Caligari is the prime suspect. While investigating his home, the policemen get word that someone has been caught for the crimes. 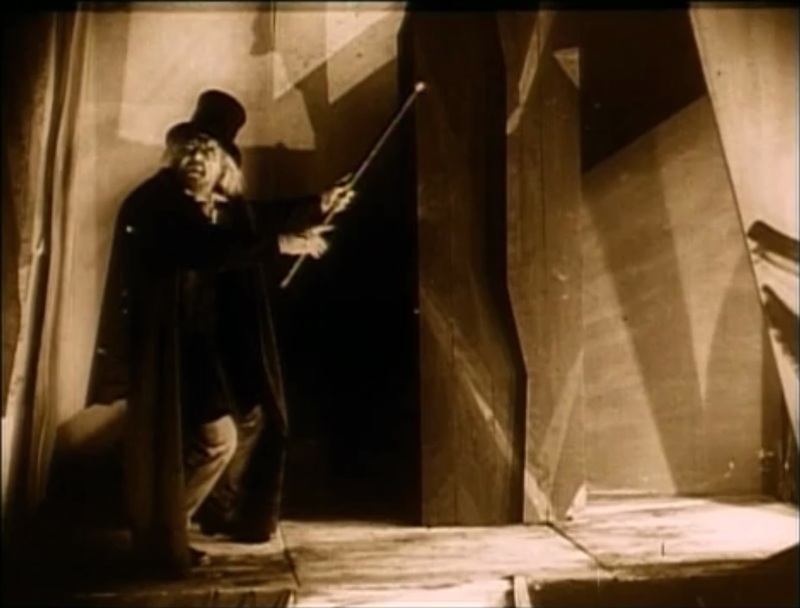 After they walk away, Caligari unleashes a wicked laugh that cuts deep into your soul (even though you can’t hear it). It was so unexpected, and Werner Krauss’s face is so expressive that it creates a creepy, haunting image. The other moment comes towards the end when we see a flashback to when Dr. Caligari first comes in contact with the somnambulist (try to say that one 10 times fast). Caligari is so triumphant and joyful, even going so far as to rip the book he’s holding in half. The scene would be creepy anyway because of his strange exuberance, but coming when it does in the story makes it quite an unsettling moment. And then there’s the ending. A truly masterful ending that sealed the deal on this one becoming a silent classic. Without going into specifics, the ending to The Cabinet of Dr. Caligari is a milestone in film history. But the ending was supposedly imposed on the director by the studio, proving that all studio enforced endings aren’t the work of the devil. While we’ll never know how the film would have been received or remembered without this ending, I can’t help but think that it is yet another interesting thing in Dr. Caligari’s corner that helped the film endure as a classic for so long. I hope I’m as interesting as The Cabinet of Dr. Caligari when I’m 93 years old. The film stands tall as a great example of how the silent film can effectively tackle any genre or subject matter. A must see for classic film fans, The Cabinet of Dr. Caligari is as unsettling as it is engaging, and it remains an incredibly impressive and atmospheric piece of cinema. The whole movie! Thanks, Public Domain! The Cabinet of Dr. Caligari was a part of the 2013 Blind Spot Series where I see one movie a month that I feel I should’ve seen a long time ago. 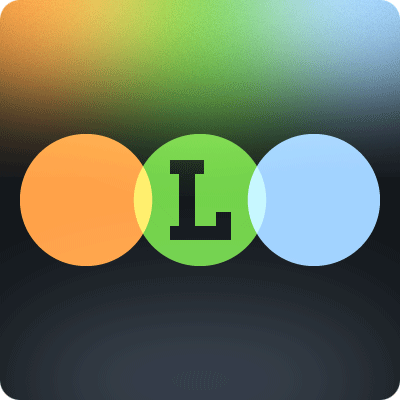 It’s all the brainchild of Ryan McNeil over at The Matinee, one of the web’s premiere film blogs. Head over there tomorrow where he’ll have a post of his own for the series, as well as links to all the other people taking part in the series.